The Paul-André Crépeau Centre for Private and Comparative Law intends to appoint a Postdoctoral Research Fellow with effect from August 2016 or other agreed date. The position is funded by an Insight Grant from the Social Sciences and Humanities Research Council of Canada. The principal investigator is Professor Lionel Smith, researcher at the Crépeau Centre, and the team is composed of colleagues from McGill’s Faculty of Law and beyond. The position is for one year, with the possibility of renewal for a second year. Based at McGill University in Montreal (Quebec, Canada) the Crépeau Centre is the only research centre in Canada devoted to research in fundamental private law. Quebec’s private law is civilian, but it evolves in a North American environment that is otherwise largely grounded in the common law. Quebec’s private law therefore provides a living model for the fruitful coexistence of two legal traditions, in which the ongoing interaction of the common law and the civil law is combined with the interaction of French and English in Quebec’s bilingual civil law. The research agenda to which the position relates has two objectives: (a) to find solutions to identified uncertainties in the Canadian law of unjust enrichment, through an interdisciplinary and comparative methodology; and (b) through this study of the law of unjust enrichment, to articulate an approach to private law that could be fruitfully applied in other fields of private law. This approach will be inspired by the bijural and bilingual approach to teaching law at McGill’s Faculty of Law. The applicant must hold a doctoral degree in law at the time of the appointment, or be on the point of completing one. The ideal candidate will have a solid track record of research in private and comparative law, and will propose an interesting research project that interacts with the research agenda summarized above. The candidate must be fluent in either English or French. Facility in more than one language and/or legal system would be an advantage. The position will include a salary of C$40,000 per year, and a work station and computer will be provided. The successful candidate will pursue his or her own research project on a subject related to the research project outlined above. He or she will also assist in the activities of the Crépeau Centre, principally through involvement in the organization of academic events on comparative unjust enrichment. He or she will also take a leading role in the publication of papers arising from these events, and may also be invited to speak at one or more of them. The review of applications will begin on 17 June 2016. The preferred starting date is August 2016. Applications are to be submitted electronically to , and questions about the position can be sent to the same address. Applicants should submit a covering letter, a curriculum vitae, a research proposal (maximum four pages), a transcript of postgraduate studies, and one or more writing samples (from peer-reviewed publications if possible). Applicants should also name two referees, who may subsequently be invited to send letters of reference. 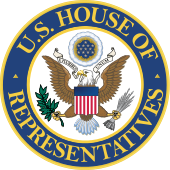 In US House of Representatives v Burwell (pdf), US District Judge Rosemary M Collyer has today upheld the challenge of the House of Representatives to a portion of the Patient Protection and Affordable Care Act (ObamaCare), ruling that the government had wrongly spent billions of dollars in the past two years to reimburse insurance companies for providing health coverage at lower costs to low and moderate income consumers. There is no mention in the judgment about the recovery of the unauthorised reimbursements, but the case plainly raises that question, which I have been discussing in a series of posts (I, II, III, IV, V, & V(a)) on this blog. There is another post to come in the series, and an addendum – but the implications on Burwell are too big to postpone. Appropriations come in many forms. A “permanent” or “continuing” appropriation, once enacted, makes funds available indefinitely for their specified purpose; no further action by Congress is needed. … A “current appropriation,” by contrast, allows an agency to obligate funds only in the year or years for which they are appropriated. … Current appropriations often give a particular agency, program, or function its spending cap and thus constrain what that agency, program, or function may do in the relevant year(s). Most current appropriations are adopted on an annual basis and must be re-authorized for each fiscal year. Such appropriations are an integral part of our constitutional checks and balances, insofar as they tie the Executive Branch to the Legislative Branch via purse strings. 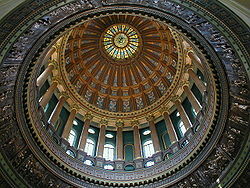 The Court will grant summary judgment to the House of Representatives and enter judgment in its favor. The Court will also enjoin any further reimbursements under Section 1402 until a valid appropriation is in place. However, the Court will stay its injunction pending any appeal by the parties. A memorializing Order accompanies this Opinion. There will undoubtedly be an appeal, so there is a long way to go before we have a clear resolution of the issue. But if the final resolution is similar to the present judgment, the question of the recovery of the unauthorised reimbursements will have to be faced – no doubt, I will have to add to my series of posts on the Restitution to the Executive and the recovery of unauthorised State payments by considering whether US provides for a claim to restitution of unjust enrichment, because the recipients of the unauthorised payment have been unjustly enriched at the expense of the State. … The Garda’s internal audit unit put overpayments of salaries and pensions at €1,139,014 at the end of 2014, €184,000 more than in 2013, according to a report obtained by the Sunday Independent. Less than half of the gardai who were overpaid had plans in place to repay it. The force’s internal audit unit concluded: “It is likely that write-off of some of this debt will be required but every effort is being made to recoup as much of this amount as possible.” … [the report] found that the number of people assigned to recoup the overpayments was “inadequate”. 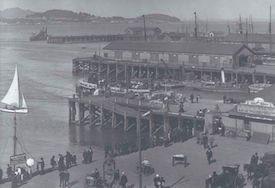 My posts on recovery of unauthorised State payments have considered the principle associated with Auckland Harbour Board v R  AC 318;  UKPC 92,  NZPC 3 (18 December 1923) and Attorney General v Great Southern and Western Railway Company of Ireland  AC 754 (HL). That principle has two limbs: first, State payments must be authorised; and second, unauthorised State payments can be recovered if they can be identified. It is a claim to restitution of unjust enrichment, because the recipient of the unauthorised payment has been unjustly enriched at the expense of the State. If, as was canvassed by reference to Collins v Minister for Finance  IEHC 530 (26 November 2013) in my fifth post in the series, such unauthorised State payments not only can, but also must, be recovered, then there would seem to be an imperative obligation to recover the overpayments to Gardaí of salaries and pensions and to recover the overpayments to the farmers of EU grants. 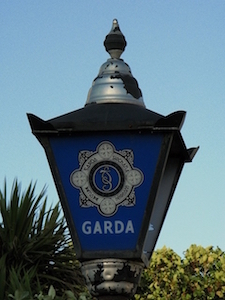 The Gardaí have a Management of Overpayments Policy Document (pdf) which states categorically that “it is the policy of An Garda Síochána to recoup overpayments in full and in all cases, irrespective of the reason for the overpayment”, and that “An Garda Síochána does not have the discretion or authorisation to write off any overpayment”. Hence, whilst today’s report confirms that every effort is being made to recoup as much of the overpayments as possible from the overpaid Gardaí, the Minister for Agriculture decided that the overpaid EU grants should be borne by the exchequer rather than recovered from the overpaid farmers. I can see no legal justification for this difference in treatment. Last month, officials at the Illinois Department of Revenue said that there had been overpayments since 2014 totalling US$168 million to some 6,500 districts across Illinois. The Department says that it’s sensitive to the impact recovering the funds will have on the districts, and it will therefore allow them to repay the money slowly. But repay it they must, unless legislation forgives the debts. It is a stark example of the issues which I have been discussing on this blog in a series of posts on the principles underlying restitution claims made by the Executive. The series was prompted by media reports that the taxpayer has been hit with a €70m bill for overpaid farmers. In my first post in the series, I established the principle associated with Auckland Harbour Board v R  AC 318;  UKPC 92,  NZPC 3 (18 December 1923) [Auckland] and Attorney General v Great Southern and Western Railway Company of Ireland  AC 754 (HL) [GSWR]. 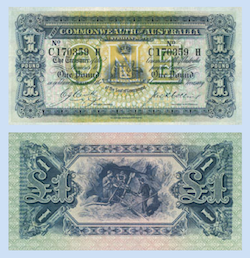 This principle has two limbs: first, State payments must be authorised (this is the authorisation limb of the principle, which I discussed in my second and third posts); and second, unauthorised State payments can be recovered if they can be identified (this is the restitution limb of the principle, which I discussed in my fourth post). This is the fifth post; there will be one more post, for a total of six in the series on the Auckland/GSWR principle; and there will – eventually – be a footnote and an addendum on related issues). The restitution limb of the principle was established in the fourth post; it is a claim to restitution of unjust enrichment, because the recipient of the unauthorised payment has been unjustly enriched at the expense of the State; and I want to look in this post at three questions to which that claim gives rise: (i) what payments are caught by that limb; (ii) how do defences to that claim work; and (iiii) is there an imperative obligation on the State to seek to recover unauthorised payments. The first of the three issues in this post is that there ought to be no limitation on the type of State payments which, if unauthorised, can be recovered. There is nothing in either limb of the principle, or in the authorities, to suggest that there should be such a limitation. Indeed, the constitutionalisation of the first – authorisation – limb of the principle strongly indicates there there should be no such limitation. So does analogical authority. In Woolwich Equitable Building Society v Inland Revenue Commissioners  AC 70 (pdf) 177, Lord Goff derived the principle that overpaid tax can be recovered by the citizen as the converse of the second – restitution – limb of the Auckland/GSWR principle. In Child Poverty Action Group v Secretary of State for Work and Pensions  2 AC 15,  UKSC 54 (08 December 2010)  Lord Brown acknowledged that the analogy also held the other way, so that considerations relating to the Woolwich principle could equally apply to the restitution limb of the Auckland/GSWR principle. It is clear that Woolwich principle applies to overpayments of all charges and levies by public bodies and is not restricted to overpayments of tax or of specific kinds of tax (see, eg, O’Rourke v Revenue Commissioners  2 IR 1 (Keane J); British Steel plc v Customs and Excise Commissioners  2 All ER 366; Waikato Regional Airport Ltd v Attorney General  3 NZLR 1,  NZPC 7,  UKPC 50 (30 June 2003) ; Harris v Quigley  1 IR 165,  1 ILRM 401,  IESC 79 (01 December 2005); R (on the application of Hemming (t/a Simply Pleasure Ltd)) v Westminster City Council (Rev 1)  EWCA Civ 591 (24 May 2013); Lindum Construction Co Ltd v The Office of Fair Trading  EWHC 1613 (Ch) (19 May 2014) ). It means, for example, that there is no reason why the restitution limb of the Auckland/GSWR principle should not apply to the recovery of overpaid social welfare payments. As Refshauge J put it in Commonwealth of Australia v Davis Samuel Pty Ltd and Ors (No 7)  ACTSC 146 (1 August 2013) (1): “The absence of Parliamentary authority extends beyond the mere absence of a relevant appropriation and applies to any disbursement from the Consolidated Revenue Fund that is ultra vires for whatever reason …”. This is the fourth post in a series on the principles underlying restitution claims made by the Executive (there will be six posts in total on those principles, plus an addendum on related issues). 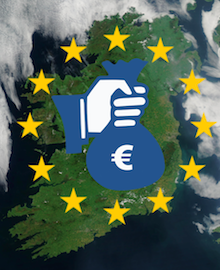 The series was prompted by media reports that the taxpayer has been hit with a €70m bill for overpaid farmers, which led me to wonder whether the State could recover overpayments made to farmers under EU schemes. To begin to answer that question, in my first post in the series, I established the principle associated with Auckland Harbour Board v R  AC 318;  UKPC 92,  NZPC 3 (18 December 1923) [Auckland] and Attorney General v Great Southern and Western Railway Company of Ireland  AC 754 (HL) [GSWR]. This principle has two limbs: first, State payments must be authorised (this is the authorisation limb of the principle); and second, unauthorised State payments can be recovered if they can be identified (this is the restitution limb of the principle). There is a strong common law line of authority on the authorisation limb, which I discussed in my second post in this series. Moreover, the authorisation limb has been afforded constitutional status in Australia; it is at least on its way to a similar status in Ireland if it hasn’t got there already; and I discussed this constitutionalisation of the authorisation limb in my third post in this series. In this post, I want to examine the second limb of the Auckland/GSWR principle: that unauthorised State payments can be recovered if they can be identified. It is a claim to restitution of unjust enrichment, because the recipient of the unauthorised payment has been unjustly enriched at the expense of the State. Three points may be recalled from my first post. First, in Auckland, Viscount Haldane LC for the Privy Council held that “[a]ny payment out of the Consolidated Fund made without Parliamentary authority is simply illegal and ultra vires, and may be recovered by the Government if it can, as here, be traced” ( AC 318, 327). Second, in GSWR, Viscount Cave LC in the House of Lords said that, in Auckland, “… a payment made by the executive Government … without … an authorization, was held to be ultra vires and recoverable” ( AC 754, 773 (emphasis added)). These are the statements of the second – restitution – limb of the principle. And, third, Lord Haldane LC’s reference to whether the unauthorised payment “can be traced” was not a reference to tracing in the equitable or proprietary sense, but instead simply required that the recipient of the unauthorised payment can be identified. A further point may be recalled from my second post: the cases often quote both limbs of the principle. Hence, many of the cases in my second post, and some of the cases in my third post, illustrate the authorisation limb of the principle in the context of statements which set out both limbs. I have mainly discussed the authorities which find authorisation in those posts; whilst in this post I will mainly concentrate on the authorities which find no authorisation and go on to consider the restitution limb of the Auckland/GSWR principle. … it is well established that, if the Crown pays money out of the consolidated fund without authority, such money is ipso facto recoverable if it can be traced: see Auckland Harbour Board v The King  AC 318. It is true that the claim in such a case can be distinguished as being proprietary in nature. But the comparison with the position of the citizen, on the law as it stands at present, is most unattractive. First, Lord Goff’s principle of recovery of overpaid tax has been approved and followed in Ireland in O’Rourke v The Revenue Commissioners  2 IR 1 and Harris v Quigley  1 IR 165,  1 ILRM 401,  IESC 79 (01 December 2005); and see also Re Article 26 and the Health (Amendment) (No 2) Bill 2004  1 IR 105, 176-177,  IESC 7 (16 February 2005) -. Second, his concession that Auckland “can be distinguished as being proprietary in nature” was unnecessary, given that it is clear that Lord Haldane LC’s reference to tracing was simply to the requirement that the recipient of the unauthorised payment can be identified. All revenues of the State from whatever source arising shall, subject to such exceptions as may be provided by law, form one fund, and shall be appropriated for the purposes and in the manner and subject to the charges and liabilities determined and imposed by law. The plaintiff challenged the disbursement of significant State funds to two credit institutions by means of promissory notes issued by the Minister for Finance pursuant to section 6 of the Credit Institutions (Financial Support) Act 2008 (as amended by the Financial Measures (Miscellaneous Provisions) Act 2009 and the Credit Institutions (Stabilisation) Act 2010) without a separate vote in the Dáil in respect of those notes. The Divisional Court dismissed the challenge, holding that the payments were authorised by the legislation, and that the legislation was constitutional. In this respect, Collins is very similar to the earlier Privy Council case of Ramesh Dipraj Kumar Mootoo v Attorney General of Trinidad and Tobago  1 WLR 1334,  UKPC 16 (9 April 1979). Section 85(3) of the Constitution of Trinidad and Tobago provided “No moneys shall be withdrawn from any public fund other than the Consolidated Fund unless the issue of these moneys has been authorised by an Act of Parliament.” The plaintiff challenged (inter alia) the constitutionality of disbursements pursuant to the Unemployment Levy Act, 1970, on the grounds that Auckland and section 85(3) required a separate Act of Parliament in the nature of an Appropriation Act for such disbursements. The Privy Council dismissed the challenge, holding that Auckland does not require a separate Act of Parliament and that the 1970 Act was sufficient: it authorised the Minister to make advances from the Fund for any of the purposes provided for in the Act, and no further enactment was required. In an earlier post, I raised the question of whether the State could recover overpayments made to farmers under EU schemes. To begin to answer that question, I established the principle associated with Auckland Harbour Board v R  AC 318;  UKPC 92,  NZPC 3 (18 December 1923) [Auckland] and Attorney General v Great Southern and Western Railway Company of Ireland  AC 754 (HL) [GSWR]. In particular, I argued that the Auckland/GSWR principle has two limbs. First, State payments must be authorised (this is the authorisation limb of the principle). Second, unauthorised State payments can be recovered if they can be identified (this is the restitution limb of the principle). Both Auckland and GSWR quote both limbs of the principle, and each neatly illustrates one limb on its facts. On the one hand, GSWR illustrates the authorisation limb, finding that the liability of the Government of the Irish Free State under a series of contracts entered into by the British Government with Irish railway companies in 1917 and 1918 was authorised by the the Irish Free State (Agreement) Act, 1922 (compare Commonwealth v Colonial Ammunition Co Ltd (1924) 34 CLR 198,  HCA 5 (21 March 1924); New South Wales v Bardolph (1934) 52 CLR 455,  HCA 74 (30 November 1934); and see now Williams v Commonwealth of Australia (No 1) (2012) 248 CLR 156,  HCA 23 (20 June 2012); see, generally, Enid Campbell “Commonwealth Contracts” (1970) 44 Australian Law Journal 14; Enid Campbell “Federal Contract Law” (1970) 44 Australian Law Journal 580; Sue Arrowsmith “Government Contracts and Public Law” (1990) 10 Legal Studies 231; Nick Seddon “The Interaction of Contract and Executive Power” (2003) 31 Federal Law Review 541; Cheryl Saunders and Kevin K F Yam “Government Regulation by Contract: Implications for the Rule of Law” (2004) 15 Public Law Review 51; Cheryl Saunders “Intergovernmental Agreements and the Executive Power” (2005) 16 Public Law Review 294). On the other hand, Auckland illustrates the restitution limb, finding that the Crown’s payment of £7,500 to the Harbour Board was unauthorised, and permitting it to be recovered. In this post and the next one, I want to examine the authorisation limb of the principle. The restitution limb of the principle is a claim to restitution of unjust enrichment, because the recipient of the unauthorised payment has been unjustly enriched at the expense of the State; and I will examine it in the fourth and fifth posts in this series. Due to the passage of time and the protracted process of opposition to a flat-rate correction with the commission, this cannot be collected from individual farmers. … no money can be taken out of the Consolidated Fund into which the revenues of the State have been paid, excepting under a distinct authorisation from Parliament itself. … Any payment out of the Consolidated Fund made without Parliamentary authority is simply illegal and ultra vires, and may be recovered by the Government if it can, as here, be traced. The Crown paid £7,500 to the Harbour Board to grant a lease to a third party. Statute authorised the payment only if the lease was entered into. It never was, and the Crown sought to deduct that amount from £25,094 5s 8d due by it to the Harbour Board. The Privy Council held that the Crown was entitled to recover the £7,500 in this way. … no money can be taken out of the Consolidated Fund excepting under a distinct authorization from Parliament itself, and a payment made by the executive Government, however clear the contract, without such an authorization, was held to be ultra vires and recoverable.